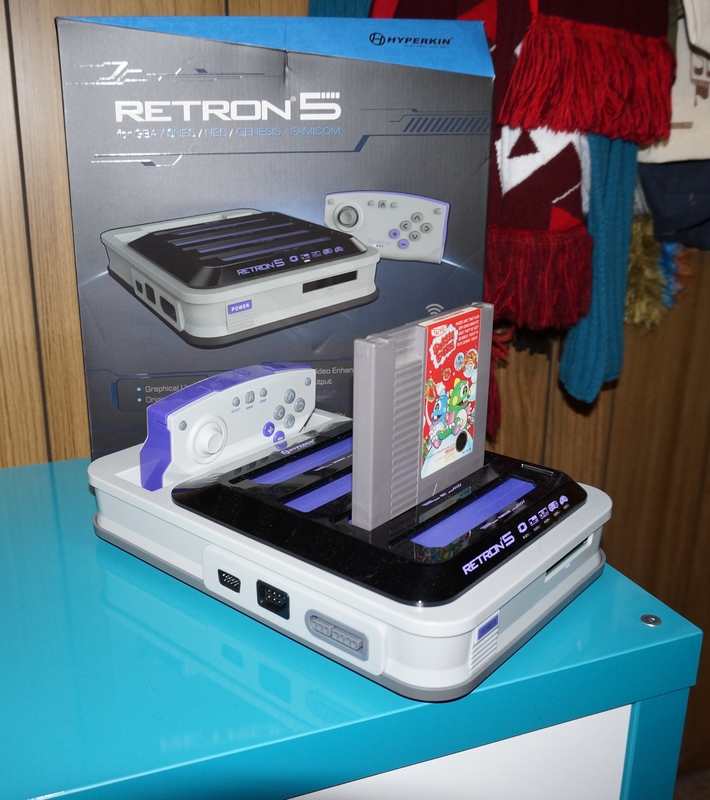 With 10 consoles in one, does the Retron 5 have what it takes? The unstylish but ultra-compatible console promises a nostalgic treat for casual and committed gamers alike, writes Brian Easton. Look at your old game console. Now look at the back of your fancy flat screen TV. How do you connect the composite connector to a modern HDMI input? The retrogaming traditionalist's choice was either to get a old CRT set or shell out for pricy upscalers. Hyperkin's Retron 5 solves the problem a different way: by containing the hardware to play real cartridges from various 8- and 16-bit platforms, upscaling the output for moderns TVs, and including all the options and filters you'd find in software emulators to boot. 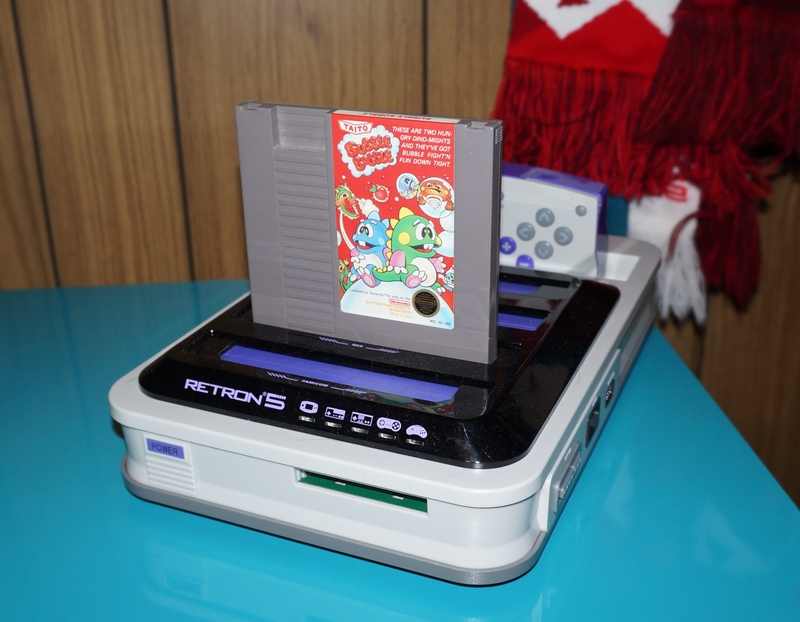 While on the outside the Retron 5 has five cartridge slots, on the inside there’s very little in the way of specialized chips for the NES/Famicom, Super NES/Super Famicom, Gameboy, Gameboy Color, Gameboy Advance, and Genesis/Mega Drive systems that the console supports. Under the hood, Retron 5 uses Android to emulate the hardware of those nine systems. Those cartridge slots, though, make the Retron 5 unique in a world where even smartphones are capable of running classic console emulators. When you insert a cartridge its rom is dumped into memory, and when the cartridge is removed that memory is erased. You have to own the original games in order to emulate them on the Retron 5—a physically enforced version of the “only download roms for games you own” messages on romsites. For consumers, the real advantage is the living-room convenience, the ability to increase the resolution and apply post-processing effects to the video without any expensive hardware or fooling around with software. The video coming out of the Retron 5 is almost too crisp; scanlines and other filters can be applied to more closely replicate the appearance of playing on a CRT monitor. Other advantages to emulation lie more on the lines of data manipulation. In addition to being able to copy game saves to and from cartridges, you also have the ability to save the state of any game and load it up later. Gone are the days of scrawling archaic codes on scraps of paper or leaving your system on overnight praying that no one turns it off (or, worse, bump the cartridge). These saves can also be transferred to an SD card and uploaded to the internet. Other advantages include fast-forward gameplay and cheat codes. The system menus are utilitarian, allowing for file management and setting preferences. Graphical filters can be adjusted during gameplay, but other settings must be handled from the main menu only. It would be nice if the menus were a little more intuitive. But how well does it play the games? It plays them as well as PC-based emulators. Gameplay, sound and graphics were faithfully reproduced in all games tested, and it reportedly handles some of the more difficult-to-emulate SNES games. There is support for firmware updates, should issues arise with any games. The biggest problem is the wireless controller that Hypekin provides with the Retron 5. Built in a largely rectangular shape, it aims for NES-style charm, but it’s serviceable at best. For some titles, it's garbage. All of the buttons, including the odd analogue-style stick, have mechanical switches that combine the worst parts of the auditory and tactile sensations of clicking a pen. Aside from being loud and imprecise, it’s also uncomfortable. Thankfully there are controller ports-two each-for real NES, SNES, and Genesis controllers. You can use these controllers with any of the emulated systems, so if you want to play Super Mario Bros. 3 with a Genesis controller there’s nothing stopping you. That said, the supplied controller is necessary for pulling up the in-game menu to manage filters and save states while playing. This is just a single button press as all menus are navigable with any controller. The build quality of the console is good. The design is far from stylish, taking elements from the devices it emulates and cramming them all into a box with five slots. The slots themselves are tight, not so much as to damage cartridges, but enough to require more force to remove them than feels comfortable. The housing around those slots isn’t very rigid, and the bowing and flexing adds to the stress of removing a game. The power button doesn’t function as you might expect, requiring the user to hold it in until the system powers on. The Retron 5 isn’t going to sit well with purists for whom emulation is anathema, but these dedicated collectors aren’t the target audience. The casual collector—people who still have their childhood games, or have amassed piles of their favorites—will love it. If you want a simple solution to play original games on a modern television, the Retron 5 is hard to beat.